Last weekend, young Leah Still, daughter of NFL defensive lineman Devon Still, celebrated her 7th birthday. It is also the week leading up to Mother’s Day, and her mother, Channing Smythe, is just like any other single mother who wants the best for her children. The 28-year-old proud “East Coast Girl” is all about love, motherhood and family, and she is dedicated to helping others like those who have helped her become more than just Leah’s mom. With Leah now cancer-free for two years, Smythe believes it is time to share her story of raising Leah and her son, Perez, as well as a work-life balance that every mother can relate to. Smythe and Devon met as students at Howard High School in Wilmington, Delaware, and conceived Leah a few years later. Leah was born a healthy child on May 6, 2010, but at age 4 she started having health problems that were initially thought to be just a stomach virus. “When Leah was being tested and examined, the doctors said that her ailments could have been one of six or seven different things, with cancer being at the bottom of that list,” Smythe said. Of course, no parent wants to think of the worst-case scenario, but Leah was diagnosed with stage 4 neuroblastoma, a rare form of pediatric cancer. As devastating as this news was, Smythe did not have to go far at all to receive a strong support system. Family, friends and even complete strangers showed their love. The toughest thing for Smythe, though, may have been where to live during Leah’s medical stays that began at the Nemours/Alfred I. duPont Hospital for Children, and on to the Children’s Hospital of Philadelphia. Smythe also mentioned how difficult it was to work while Leah was in and out of the hospital, on top of being pregnant with Perez. 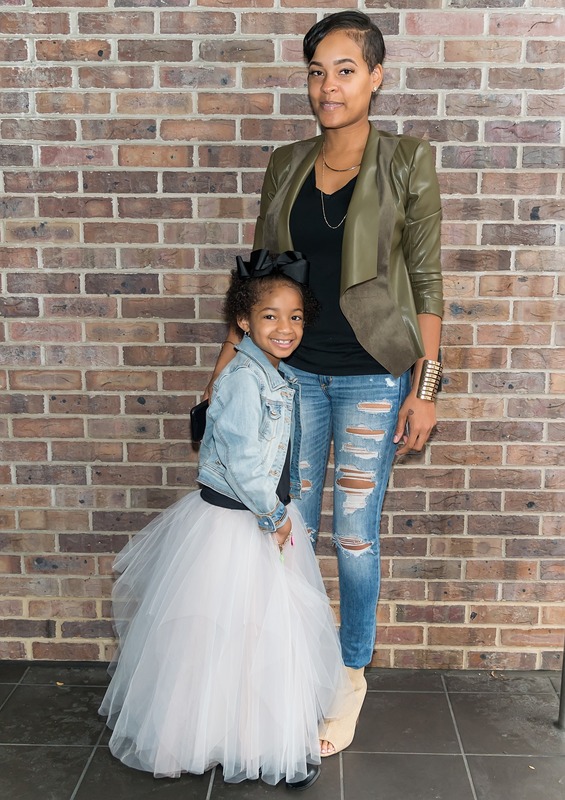 Leah Still and her mother, Channing Smythe, visit Fox 29’s Good Day at Fox 29 Studio on Sept. 20, 2016, in Philadelphia. “I was an assistant director at a day care center at the time, doing a lot of the administrative work, but once Leah’s dad decided to continue playing football I had to be there for my child by taking a lot of sick time. Even now, it’s still difficult to work,” Smythe said. Smythe endured many experiences during Leah’s battle with cancer, inspiring her to start the Leah Still Foundation. Since launching the foundation in August 2014, the feedback has been tremendous. Smythe said the hardest part of her journey was watching Leah change emotionally and physically as she went through the chemotherapy and radiation, and being pregnant with Perez. Smythe said other mothers dealing with similar struggles often reach out to her for advice. Throughout Leah’s battle, Smythe has remained positive and has been inspired by her daughter. “Leah always tells me that I’m a good mom and I do a good job. It’s inspiring that she stays strong and smiles through it all and says she’ll bounce back. She’s so smart for her age,” she tearfully explained. “Leah is very protective of her brother, and vice versa. She loves him very much, although she won’t let him play with her toys and says he can be annoying at times. OJ Spivey covers sports, culture, and city life in Philadelphia, Pennsylvania.